We are Famous for our Healthy Tiny Babies! Raised with Children! Extremely Well Socialized! Spoiled Rotten Schnauzers is rated as one of the highest caliber micro teacup, teacup, and toy schnauzer breeders within the Country! We are famous throughout the United States for providing some of the most beautiful, healthiest, happiest and tiniest toy, teacup and micro teacup schnauzer puppies in the World! Our toy and teacup schnauzer puppies originate from the best bloodlines out there and our pedigrees are hard to beat. Not to mention we offer one of the most impressive health guarantees you can find online. 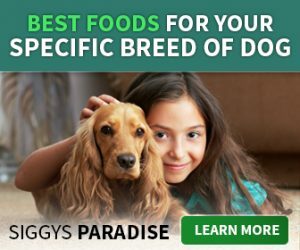 We are located in Utah, but families come in from all over the world to adopt our puppies. Yes, we also ship. Spoiled Rotten Schnauzers is NOT a kennel. We have a strong passion for this incredible breed and enjoy having our schnauzers and their puppies live inside our home as part of our cheerful, fun-loving family. Our schnauzers live down on the ground (NOT in cages) and that WILL show as “proof” in their personality and training. Our schnauzers are absolutely ‘spoiled’ with the best quality of life a dog can get which is why they are always so happy, well socialized and comfortable with daily household noises and routines. Toy schnauzer puppies are known to do well in any loving environment and are awesome to travel with. Toy schnauzers are small but not frail which makes them an all time favorite family pet. They have a friendly, cheerful, social, interactive, playful, affectionate disposition and get along fantastic with other dogs, cats, children of all ages, including toddlers and babies. Toy schnauzers can live in a loud hectic active family with 8 kids or a calm quiet senior citizen home, out on a ranch or in a big city, living in an apartment or a chillin’ at the mansion. Unlike teacup schnauzers, toy schnauzers are the perfect size if you work full time or come and go a lot. They are very adaptable which makes them rewarding to live with. Toy schnauzers average around 7 – 10 pounds full grown. Teacup schnauzer puppies on the other hand are more delicate than toy schnauzers so they do require more attention and care. Keep in mind that some teacup puppies will be more “frail” and “higher maintenance” then others so choose carefully because you can create health issues, cause hypoglycemia or even early death if you can’t meet the teacup puppies needs. As an overall rule teacup schnauzers do well with other dogs and cats but tend avoid toddlers and/or babies. Teacup schnauzers prefer older children, teenagers, adults and seniors. Depending on how tiny your teacup puppy is will determine how long it can be left alone during the day. Usually this size should NOT be left alone for more then 4-5 hours at a time. Teacup puppies are very light weight and easy to carry around. Some will travel better then others. 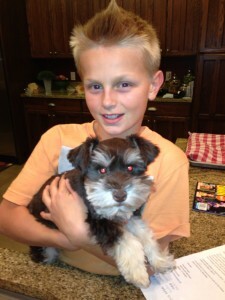 Teacup schnauzer puppies are for families wanting a new best friend to follow them around and share their life with. Teacup schnauzers average around 4 – 6 pounds full grown. We encourage you to read our how to choose a teacup puppy page. Micro teacup schnauzer puppies are not for everyone. 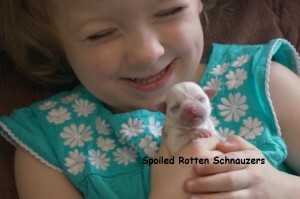 Micro size puppies in general require a high end diet and specialized care. If you do not provide them with a certain type of daily lifestyle you can create serious health issues and even early death. Keep in mind this fragile size can be injured a lot easier then a teacup schnauzer or a toy schnauzer. Micro teacup puppies are not a size for first time “teacup” owners. If you have never owned a micro teacup puppy before you might want to adopt just a teacup puppy first. I can not stress enough that you must know what you are doing with this size so educate yourself and do some research. Micro teacup schnauzer puppies are for families that want a “soul mate” or a “new baby” in the home that they can shower with a lot of time, love and attention. So if you work a lot, have a real busy life where your gone most of the day, etc.. then this is NOT the size for you. Micro teacup puppies do NOT do well being left alone very much. This size is bred solely to be adult companion pets. Born to be held, carried, spoiled, and will want to follow you around everywhere. Whether you are adopting a teacup puppy or a micro-teacup puppy you should educate yourself on the sign, symptoms and ways to prevent hypoglycemia in teacup puppies. Toy versus T-cup (Teacup) Schnauzer Puppies – a short history. Dedicated to protecting and promoting this amazing and sweet breed, it is our sincere hope to preserve the stunning ‘lost schnauzer colors’ that are becoming difficult to find. Don’t forget to check out our schnauzer colors pages to see tons of photos, videos and detailed descriptions of each beautiful schnauzer color. Whichever size and color you choose just know that if you adopt a puppy from us it will come pre-spoiled. We feel a great deal of joy and pride in raising our adorable schnauzer babies until they are ready to be adopted by homes that will continue to provide them with a cherished life as member of the family. We do require that all our puppies are spayed and neutered prior to leaving because we strongly support the United States National Push for Breeders to sell their puppies to loving pet homes. Sorry, no breeding rights.